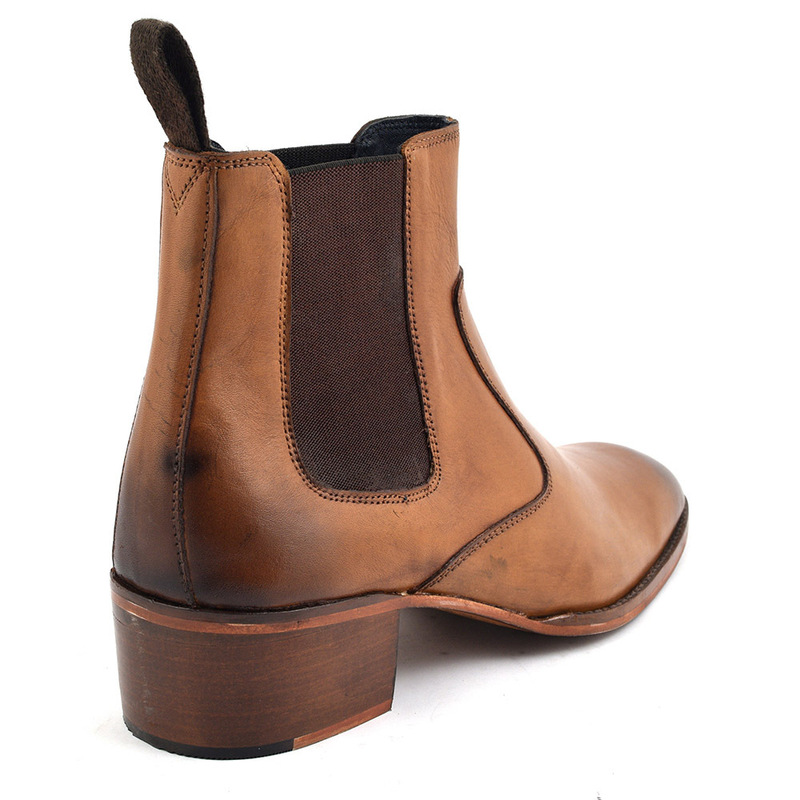 A tan heel chelsea boot with a 5cm heel. The caramel brown bleeds into a darker tone and contrasts with the side gussets indicative of a chelsea. 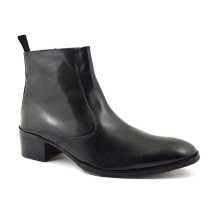 A cool cuban heel boot for an original and individual look. 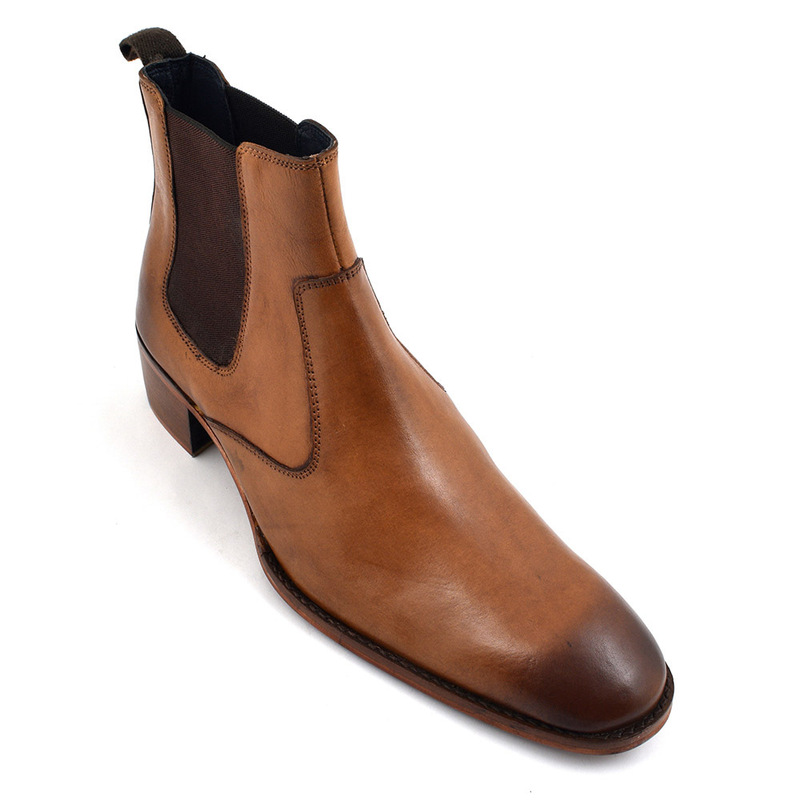 So these tan cuban heel chelsea boots are a must have for your shoedrobe. 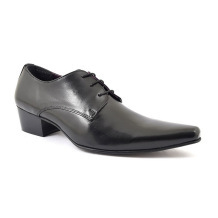 They have a fabulous 5 cm heel which is rocking and will have you looking the same. It is no coincidence they have the name Ringo as these are a homage to the cool looking boys who wore chelsea boots with a cuban heel and began a huge trend for them in the sixties. 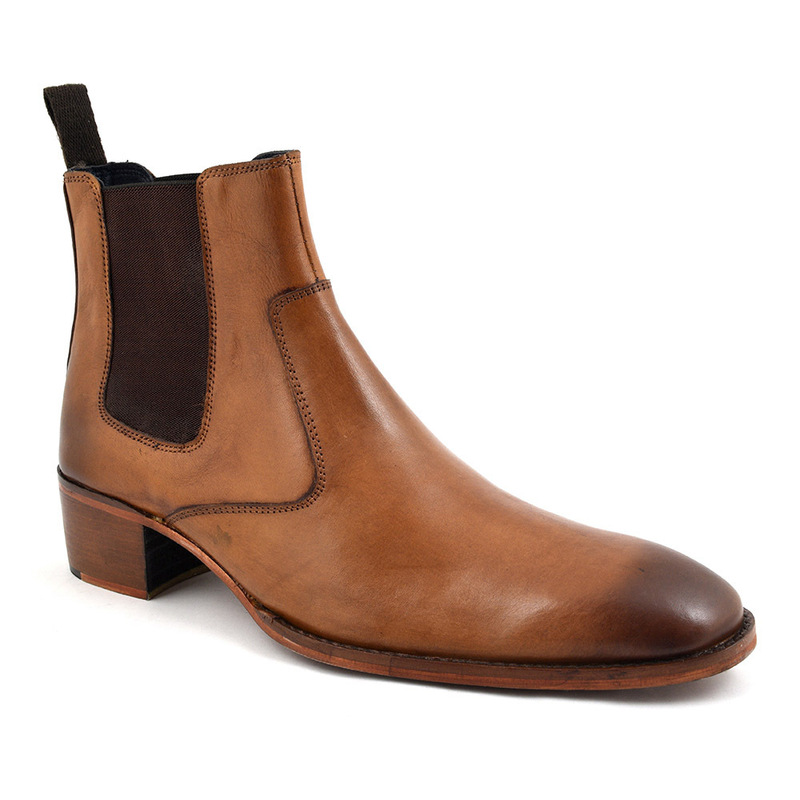 Anello and Davide, bespoke shoe makers were commissioned by the fab four to make those heeled chelsea boots and others followed. Marc Bolan for instance went to the same craftsmen. Of course, the cool young things around the Kings Road had an appetite for them and they became rather fashionable. Why not? We live in an age where your style is original and pertains to what you want. Lets understand that heels for men were considered the height of macho and created to give men a strong stance in their stirrups on horseback when in battle (9th century fact). The chelsea boot also has its origins in riding after J Sparkes Hall used the newly innovated vulcanised rubber to make boots for Queen Victoria. They may have started as a walking boot but became a favourite in terms of riding. As mentioned, the hipsters of West London popularised them and they got their name from the area. 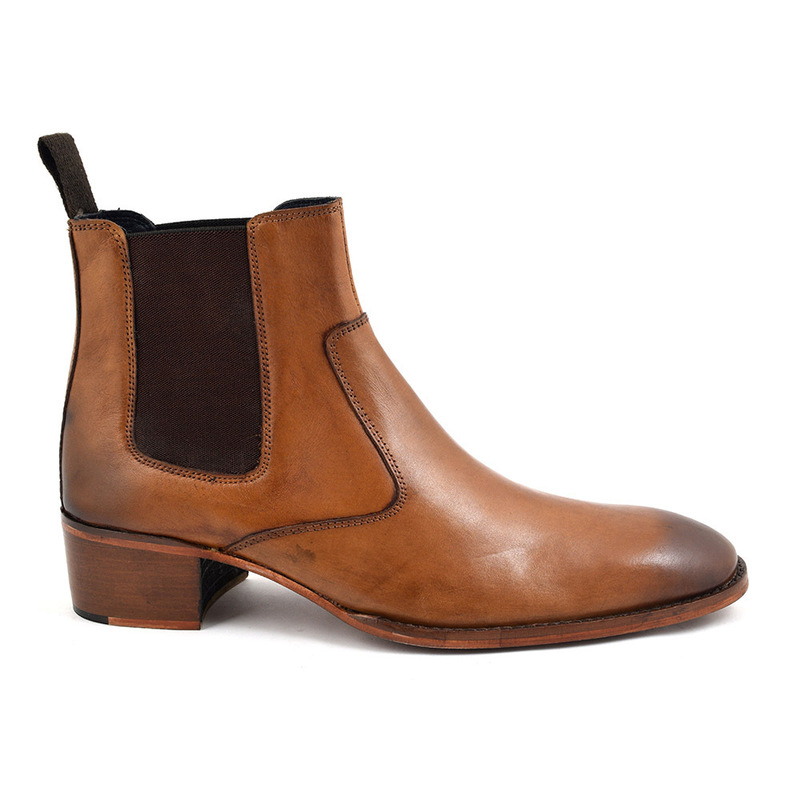 So these tan beauties would look very cool with dark indigo denim in a slim fit. Grab a T shirt and leather and you are good to go. The look is edgy and these boots have a casual appeal whilst giving an aura of creativity and originality. Think Noel Fielding and Russel Brand. Many indie bands like The Horrors love this style to. Be the first to review “Ringo Tan Heel Chelsea Boot” Click here to cancel reply.